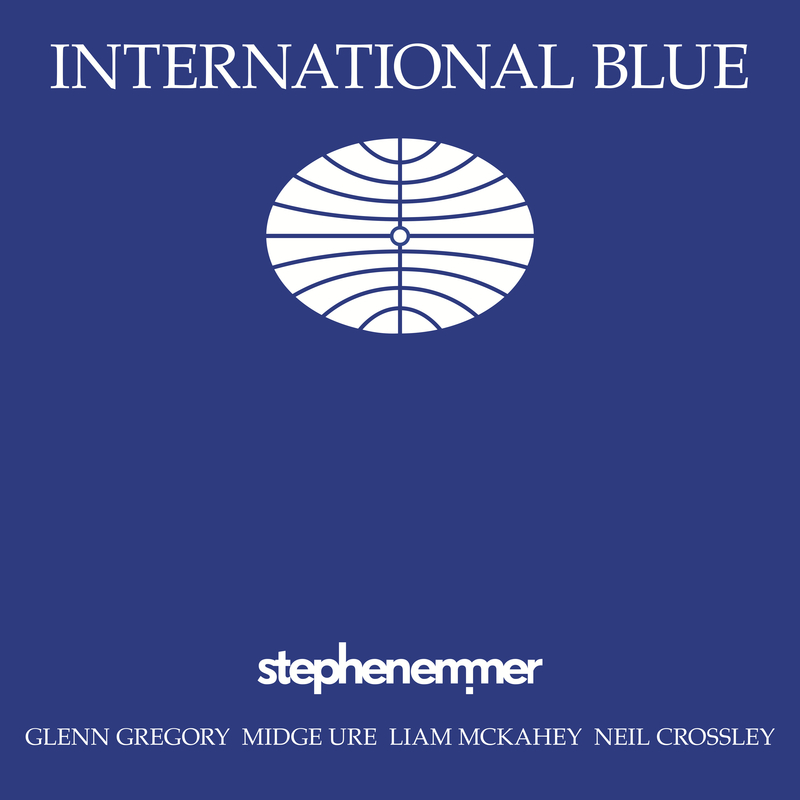 ALBUM REVIEW: Stephen Emmer, "International Blue"
A serious, melodic, lush and dramatic stunner. I think that describes with some accuracy International Blue, the new album from Dutch multi-instrumentalist/songwriter Stephen Emmer. For this effort, he enlists the talents of ’80’s stalwarts like Glenn Gregory of Heaven 17, Midge Ure of Ultravox and Michael Dempsey, the great, original bass player of The Cure to name but a few. First impressions are a cross of Scott Walker and David Bowie (right down to the vocal inflections of both Gregory and Ure). Nonetheless, it’s a remarkably heavy and yet uplifting piece of work. Cinematic, orchestrated – it reminds me in many ways of mid-’60’s soundtrack music but I never lose interest. The opening track, “Let The Silence Hold You”, sung by Gregory, immediately grabs me – and from this first track, there is a very smooth, seductive feel. “Taking Back My Time”, sung by Ure, made me think of the aforementioned Scott Walker’s masterpiece, “Montague Terrace (In Blue)” – moody, reflective and yet clinging to a hope. “Blown Away”, as sung by Liam McKahey of Cousteau is an emotional plea, complete with strings and a spoken French female interlude. “Untouchable”‘s gentle piano introduction leads to a thunderous bridge with backing vocals and string accompaniment in a wonderful Burt Bachrach kind of way. “Sea Change”, featuring Neil Crossley of Furlined has an air of mystery – think of David Hemmings and Vanessa Redgrave in “Blow Up” walking toward one another as this might play in the background. There’s something so oddly exhilarating about this album. I am inclined to simply say “do not miss this” – seek it out and let it draw you in.